compensating for impacts that cannot be further minimized. Statutory reference: 38 M.R.S. § 480-Z. See also DEP Fact Sheet, Natural Resource Compensation: Methods for Restoring Lost Functions and Values. The ILFP provides permit applicants with an option to traditional permittee-responsible compensation projects. The ILF is a voluntary program that allows entities impacting natural resources, primarily wetlands, to make a payment directly to the DEP as an alternative to the traditional mitigation process. Fees collected by DEP are deposited into funds allocated to specific biophysical regions in which the impacts occurred. Fees collected by the Department through the ILF Program are allocated through the MNRCP. The MNRCP is a cooperative program between Maine DEP and the US Army Corps of Engineers and is administered by The Nature Conservancy in Maine. 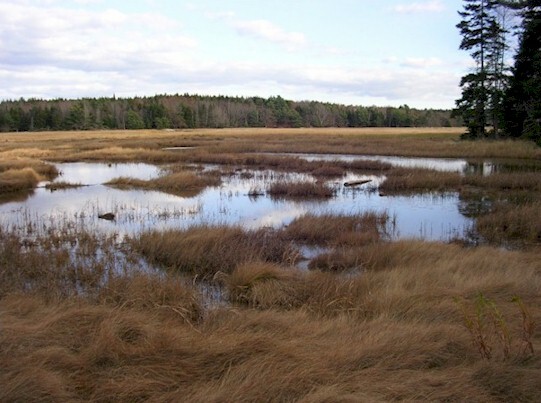 The MNRCP helps compensate for unavoidable impacts to protected natural resources in Maine by funding the restoration, enhancement, preservation, and creation of similar resources to maintain ecological benefits. Public agencies, non-profit conservation organizations and municipalities can apply, through a competitive process, for funding to complete appropriate projects in these biophysical regions. Preference is given to projects that restore, enhance, preserve, or create resources that best match the natural characteristics and values that were impacted. The focus of the program is to maximize the ecological benefits of compensatory mitigation. Projects that benefit habitat areas of statewide conservation significance, or other natural resource priority areas, are generally preferred. Proposals are evaluated by a Review Committee consisting of public and private entities. Final allocation decisions are made by an Approval Committee comprised of state and federal agencies. The funds are typically awarded annually by a process that starts in late May/early June of each year with a request for Letters of Intent to submit and ends in the fall when the Approval Committee votes.